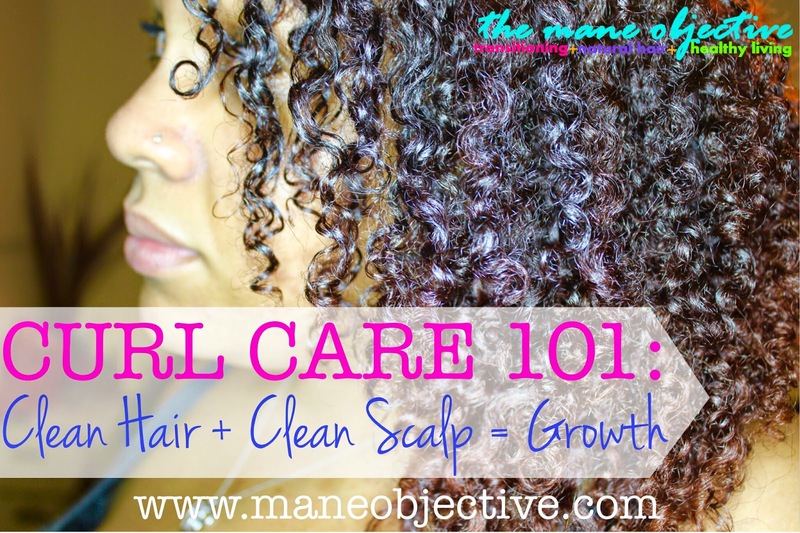 I'm so glad that you all are sticking with me through the Curl Care 101 series and finding it helpful. The feedback and love you've given me is super informative -- thank you!!! 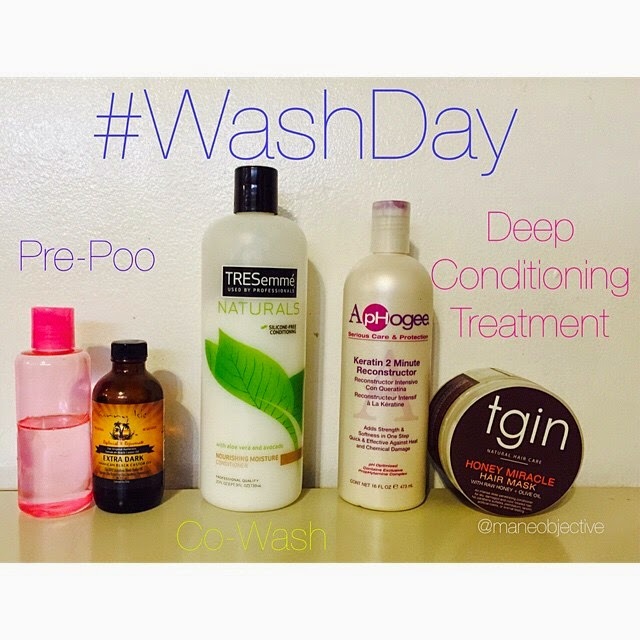 This week, we're going to dive right in to the heart and soul of wash day: cleaning the hair and scalp. Ready? Let's go! In the natural hair community, we all want to claim sets (I'm from LA, just roll with the gang analogy here) -- #TeamTwistOut versus #TeamBraidOut, #TeamFingerDetangle beefs with rival set #TeamCombsandBrushes, and of course, my #WashnGo set stays having drama with #TeamWashnNo. I exaggerate a little, but dichotomy most certainly exists, which has a tendency to pressure new or lesser experienced naturals into choosing one method or approach over another. In this particular article, we're talking shampooers versus co-washers. Let some Curly Girl Method loyalist tell it, you never ever need another bottle of shampoo in your life. Let some stylists tell it, washing your hair with conditioner is akin to using fabric softener to clean your clothes. Yes, a stylist on Instagram really said that (and I vehemently disagree...but we'll get to that later). So who's right? What should you be using to clean your hair? The answer boils down to what it always does -- you. Some naturalistas can't shake the sudsy stuff, and lather up every week or two. Others, take Lorraine Massey's Curly Girl Handbook (and Deva Curl products) as gospel, and never come within 10 feet of shampoo. I'm never one to preach exclusivity, and I do think there is a place in your regimen for cleansing with shampoo and co-washing. I personally use both in my regimen, and I'll share how a little later. I don't know who this is, but her curls are giving me life. The premise of co-washing is relatively simple -- you load gobs of conditioner (or tiny palmfuls if you're fancy and have restraint) into your hair. massage it into your scalp and along the hair shaft, and rinse it out, just like you would a shampoo. The only difference being that your co-wash doesn't lather. How the heck does this clean the hair? All conditioners contain incredibly mild surfactants that can remove up to approximately 90% of dirt and oil from the hair -- which is pretty darn clean. Don't believe me? Check this microscope test. Much like co-washing, shampooing does come with a particular set of drawbacks. For some naturals, even the most gentle of shampoos can be drying to the hair and scalp. Shampoo also happens to give zero cares about your curl pattern (with the exception of like one), and will almost always cause some level of frizzing that you must rely on a deep conditioner to correct. With that being said, how can you incorporate both into a happy, healthy, hair regimen? I'm glad you asked! My advice largely applies to ladies who wash their hair weekly (or twice a week), but can be adapted for those that go for 2 weeks or more: use co-washing and shampooing at a 3:1 ratio. That means, after 3 weeks of co-washing, use a shampoo. In my experience, this allows ample time for you to build moisture stores within your hair that will cause the shampoo to not be as drying, and not completely resign your curls to frizz. I mean clearly, my products are subject to change (hair flip), but you get the idea. Allow all of the hair to get saturated with warm/very warm water for 1-2 minutes. Warm water helps loosen product and debris, while the constant stream of water helps to begin (re)moving shed hairs. One section at a time, massage the co-wash through your hair from root to end. If you need to detangle, do that too. 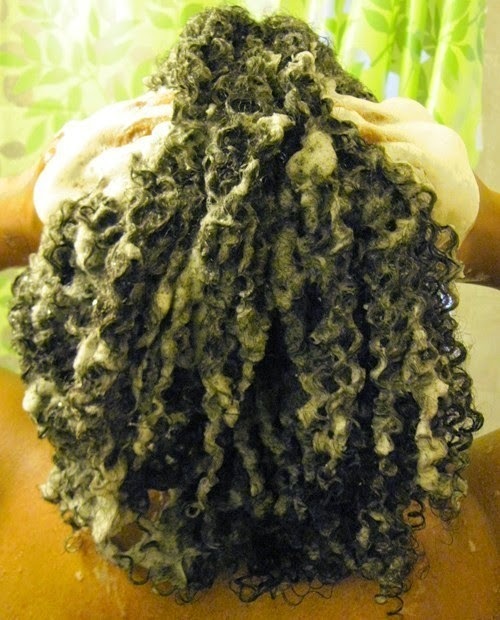 After your section has been cleansed and detangled, twist or braid it back up. To cleanse the scalp and avoid re-tangling, gently pinch your clean twist between your thumb and index finger about an inch away from your scalp. Take your other hand and use the pads of your fingers to vigorously rub your scalp in that section to loosen dirt, debris, oils, and flakes. One by one, release sections and rinse. Make sure that your hair is detangled prior to shampooing. Just...trust me on this one. One section at a time (with your hair still in the twist or braid), apply a dime to quarter (if you're heavy handed) sized amount of shampoo directly to your scalp. Gently pinch your twist between your thumb and index finger about an inch away from your scalp. Take your other hand and use the pads of your fingers to vigorously rub your scalp in that section to loosen dirt, debris, oils, and flakes. As the shampoo lathers, allow it to travel down the length of your hair. If it doesn't make it all the way, feel free to add more shampoo. If your shampoo says to leave it on for a few, repeat steps 3 and 4 on the other sections prior to rinsing. There's no harm in doing this anyway, but you can also feel free to immediately rinse. Just make sure that right after rinsing each section, you apply a regular or deep conditioner so the hair doesn't begin to dry out. That is probably the most common question associated with wash day. How often should you be washing your hair? How do you straddle that line between over-manipulation and total neglect? It largely depends on your lifestyle. First and foremost, I will never advocate that you wash daily. In an extreme emergency (a terrible style turnout and you have to go somewhere important), I understand. On the frequent end, if you are very active (and sweat a lot), have a scalp condition, or have fine hair prone to buildup, cleansing every 3-4 days is fine. On the infrequent end, I recommend washing every 2 weeks. My nice, somewhat mid-ground is weekly. 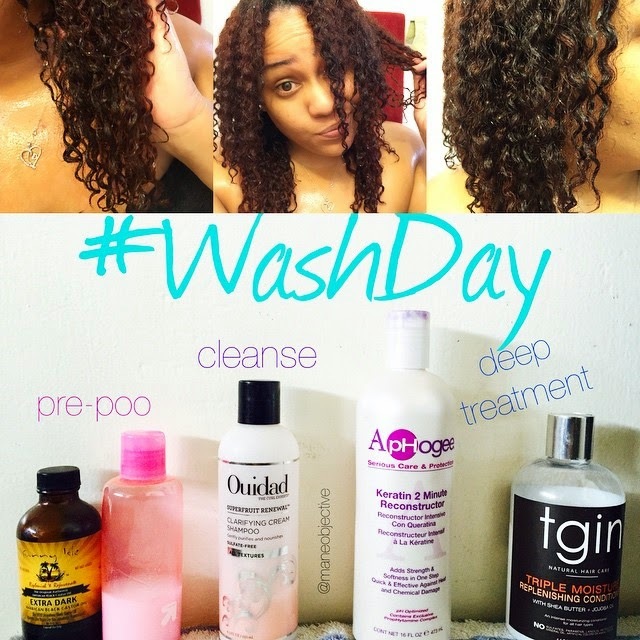 I try to wash my hair every 6 or 7 days (when I can), but I will also wash my hair on day 3 or 4 if necessary. I don't confine myself to one time frame or another, because that leaves zero leeway for like, life. Warning: this next sentence is my own personal opinion and is based on nothing but that -- feel free to agree/disagree at your own risk! I will never advocate that someone wash their hair only once a month. Shampoo once a month and co-wash the other weeks, yes. But for your hair to only come into contact with a cleansing agent one time a month leaves the door open for too many issues. Now, what would this article be if I didn't make some solid product recommendations? 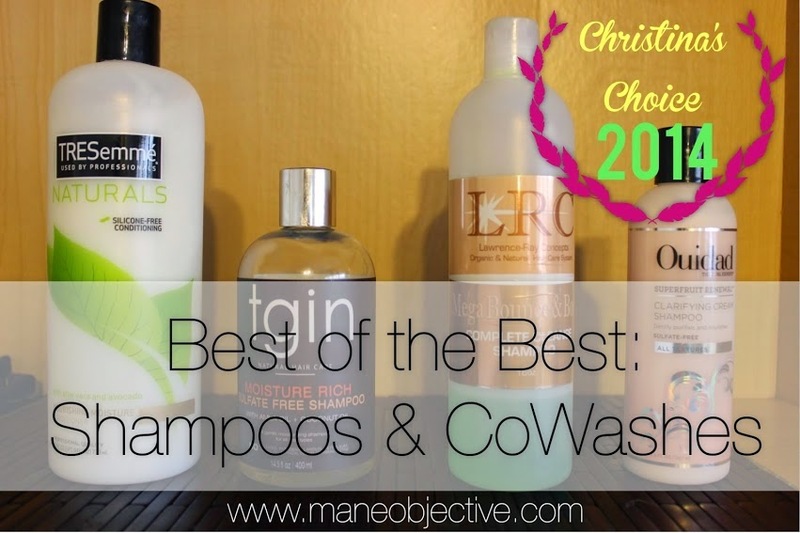 In case you missed it, here are my favorite shampoos and cleansers from 2014. My favorite shampoos are unchanged (as of yet), but I will say that as far as co-washing goes, Trader Joe's Tea Tree Tingle Conditioner has stepped up in a MAJOR way. You can also check out these shampoo bars, which are great for ladies that are nervous about making the full shampoo plunge. I'm also a fan of Alaffia's Black Soap, which is a great quite literally, from head to toe. I hope you found this week's installment helpful! Click here if you need to catch up on the whole Curl Care 101 series. Be sure to leave any questions and feedback below! See you next week --we'll be chatting about deep conditioning! Busting down myths, sharing effective techniques, ingredients to look for, and more! Excellent post and very well written. Its also perfect timing as I'll be attempting to incorporate co-washing into my daughter's regimen, so I'm liking the 3:1 concept. Thx. Thank you! I hope it works out well! I tried co-washing (with rinse out conditioner) every week with the exception of one month. I have a sensitive scalp and I HAD to go back to shampooing every week. Right now, I am using a shampoo bar made by a local vendor in Baltimore, MD called Pure Shea. Anyway, my hair was so moisturized after using a shampoo bar. I will be trying As I Am's co-wash soon (along with another one of their products probably). I have an issue with walking around with a dirty scalp. I feel unclean when my scalp is having a party with oil build up and flakes. I use Shampoo and Co-washers to cleanse my hair and scalp. Have you noticed that I used the word scalp in every sentence? I'm convinced that I can clean my hair with water and a prayer. However, the scalp needs some serious attention in order for my natural hair to thrive.